The Coasts’ charm is split between the best of old and new – a seaside haven defined by natural and architectural beauty. Luxury high-rise buildings entwine an elaborate system of inland canals and waterways, standing tall in contrast to the 1970’s style of 3 level brick walk-ups that line the coast. An iconically Gold Coast mix of the bright lights of multi-storey developments and quiet seaside streets – life by the ocean has never been more affordable. Whether you love a house with a yard or prefer high rise living, homes here range from sprawling architectural mansions in gated estates, to modern wooden seaside shacks and just about everything in between. 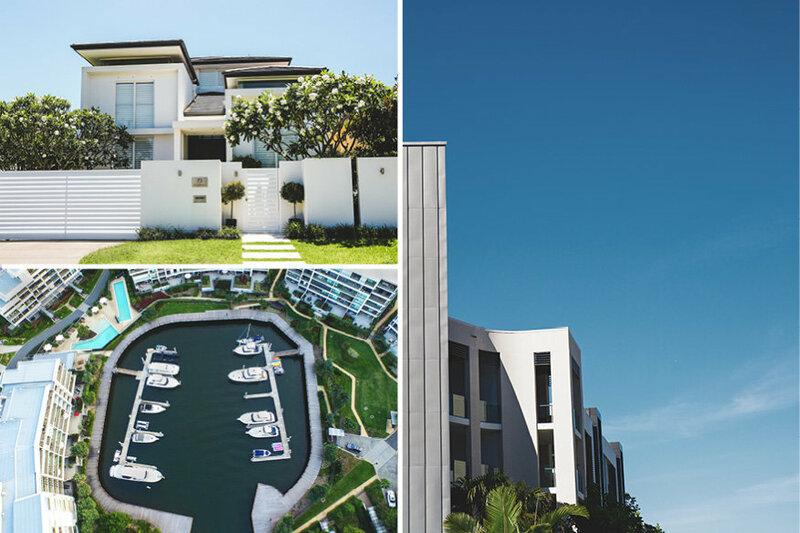 If you’re wondering what type of property falls within your budget on the Gold Coast, read on. Here we explore the many property types, the effects location has on values and what you can expect to pay when breaking into the market. If you want to moor your boat at one of the many prestigious waterfront residences extending right down the coastal fringe, entry level sits at around $800,000. Waterfront suburbs entwine the coast line stretching from Coomera Waters right down to Currumbin, although the further south you head the less chance you have of mooring a sizeable boat on your own pontoon. If you like the wind in your sails and mooring your boat at the Yacht Club isn’t your thing, you’ll find bridge free waterfront north of the Sundale Bridge in Southport. If you’re not trying to get a yacht into the seaway most 50ft cruisers will safely clear the Sundale bridge at low tide making suburbs like Paradise Waters, Chevron Island, Isle of Capri, and Broadbeach Waters all viable areas to consider. 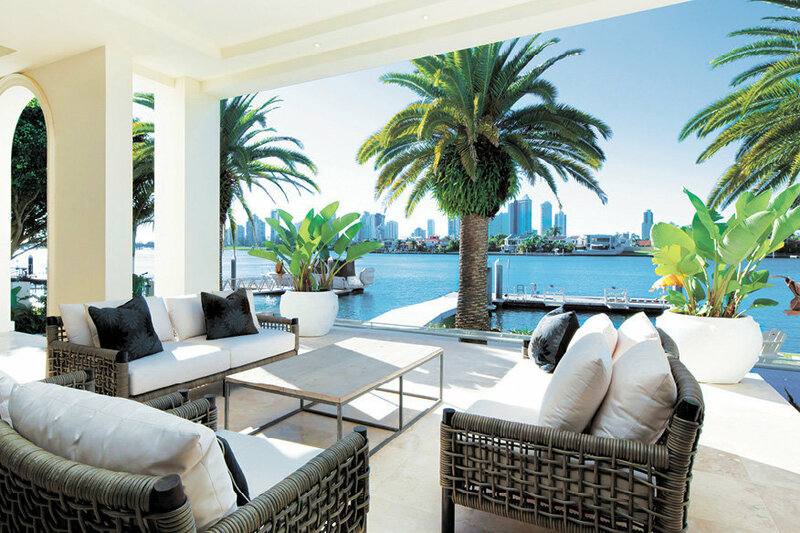 Head further south and you’ll discover many waterfront properties are indeed lakefront or locked to the ocean by bridges, which is why you won’t see anything more than a tinnie or jetski floating in the likes of Mermaid Waters, Clear Island Waters, Burleigh Waters or Currumbin Waters. Areas surrounding popular private schools are highly sought after with those opting to avoid the school run traffic (among other benefits). As a general rule, leading independent and non-government schools will attract a high calibre of ownership to the surrounding area, this results in limited turnover and sustained values. 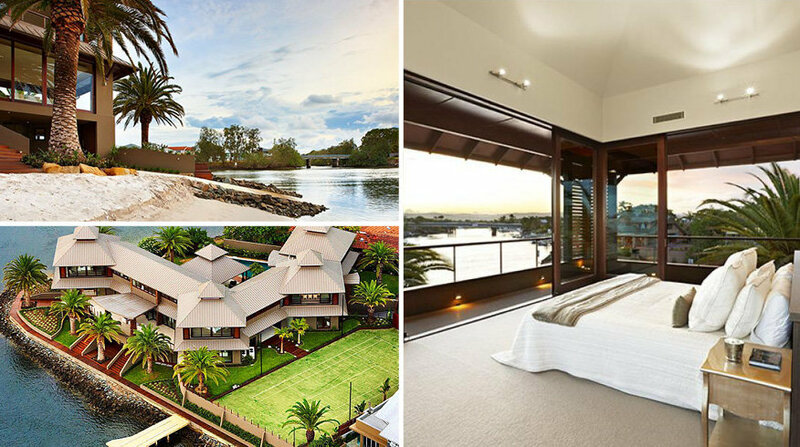 While entry level pockets in and around The Southport School (TSS) for example attract an entry level price point circa $700,000 for a family home, you could pay in the millions for a luxury river front residence. Likewise, properties close to high performing state schools with tight school zonings are also proving to be solid blue-chip investments. Varsity College, where Education Queensland has implemented a school enrolment management plan due to high demand, is one of the key drivers of capital growth in that area with an entry level price point of $480,000 for a 4 bedroom family home. Villas close to the beach with skyline views in the likes of Burleigh Heads start from around $600,000. Mermaid Beach, Miami and Burleigh Heads are tightly held suburbs with the majority of people wanting to live in these lifestyle locations coming from the local area itself. Given that these well establish neighbourhoods have very little land available, many homes are either being completely renovated to maximise the land area or knocked down and replaced with spacious, well-appointed villas. A renovated double storey duplex/villa (that’s still 15 years old) just west of the Gold Coast Highway but within walking distance to the beach will set you back around $675,000 to $750,000. If you’re looking for a more affordable entry point to this area and are happy to pay body corporate fees, villas in the popular Chamonix complex at Mermaid Beach are still being snapped up for just under $400,000. On the other end of the scale, a luxury 4 level villa in Main Beach will set you back around $1.2 million. 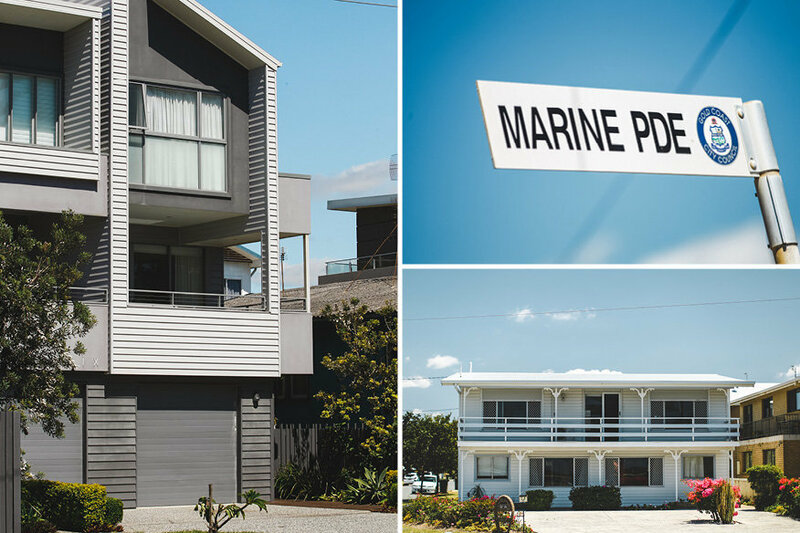 Duplexes, villas, townhouses – call them what you like – they are scattered throughout the beachside and Broadwater districts of the Gold Coast. As with all styles of residences, it just comes down to the locality and quality of the property you seek. New and old, renovated or original, modest to luxury, a villa is certainly an entry level option to consider at practically every price point. Spacious family homes in tree-lined neighbourhoods built as early as the 1970’s east of the M1 are popular with renovators seeking prime location without the excessive price tag – think pockets in Ashmore, Bundall and Southport. That said, there are still many original beach shacks in Mermaid Beach, Miami, Burleigh and Palm Beach, waiting for their chance to shine once more. Most weatherboards are being demolished and replaced with modern coastal dwellings, while brick homes with good bones are benefiting from extensive renovations. Duplexes in Broadwater suburbs or key infrastructure pockets are popular with investors seeking good returns, long term capital growth and an affordable entry point. East of the freeway, you’ll find a competitive market for freestanding homes circa $500,000. 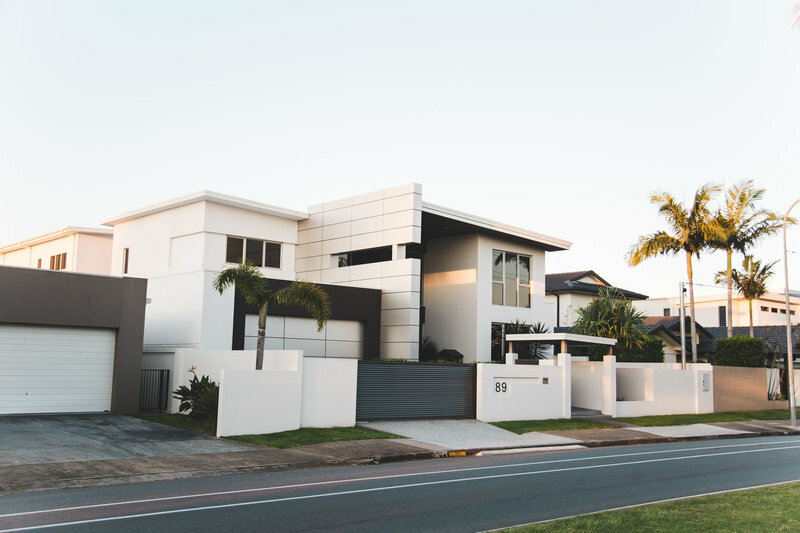 For a solid investment, consider areas like Helensvale, Ashmore, Parkwood, Arundel, Southport, Biggera Waters and Labrador; all of which, will and are already, benefiting from completed and future infrastructure projects pushing ahead in surrounding areas on the Gold Coast. Head further west towards the hills and you can find a relatively new 4 bedroom family home for around $400,000. Rental returns in this area are also good, currently sitting at around 5% gross per annum. 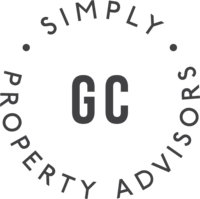 Affordability in greenfield pockets like Coomera, which house a significantly higher share of renters, is evident not only in the streetscape but the growth in values. Compared to Ashmore which has a tenant mix of around 25% and has seen an increase in median sale prices of a little over 15% since 2011, over 50% of properties in Coomera are tenanted, and the change in median sale price is a modest rise of just over 8% since 2011. Units are an entirely different game on the Gold Coast with a mix of old and new high rise and mid rise developments, large low rise rental complexes and boutique packs of 4-10 units – all ranging from well appointed to budget. If you’re on a budget, you can find great buys in 2 and 3 bedroom units in small apartment buildings. Boutique apartment blocks mean lower outgoings (under $50/wk), more charm and character, and are often better investment options than the massive complexes out there today. Although there are still many units on the market sub $250,000, the median unit price is currently sitting at $370,000, but you could pay anywhere up to $5 million for a luxury beach front apartment.